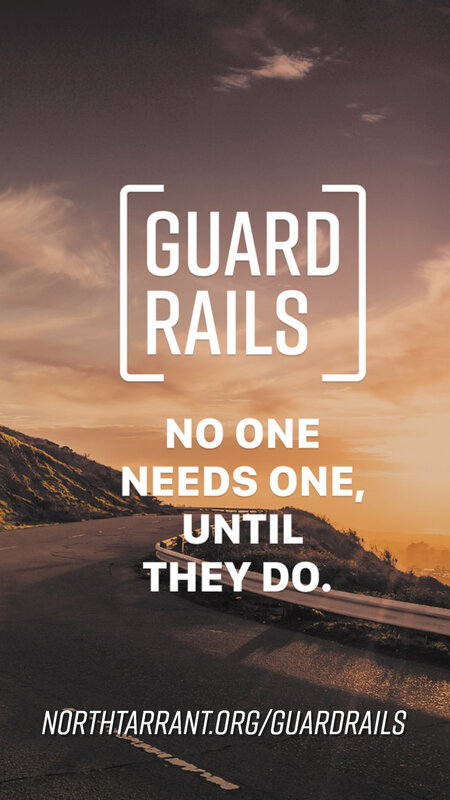 Join us for a conversation at North Tarrant Church to find out how to implement guardrails in our everyday lives. Bring the family... Bring a friend. We've built this with YOU in mind! If you’ve been waiting for the best opportunity to invite your friend or neighbor to church, Guardrails is the perfect series! Included below are multiple ways to share this series with your network of friends and family. Download one of the images below and share it on social media to spread the word. Write a caption that includes Guardrails.org or use one of our suggestions below. Need options? See more shareable images. Here are some suggested captions that have been tailored with the corresponding social media channel in mind. Pair them with an image or video above and start sharing! Spark a conversation by using these images as posts, Facebook banners, or on your Instagram story.